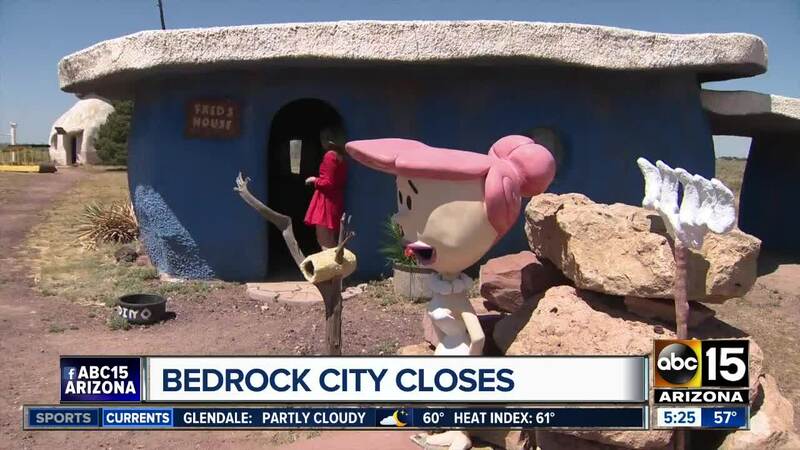 Bedrock City Arizona, the Flintstones'-themed attraction that welcomed (or pleasantly sidetracked) travelers on their way to the Grand Canyon's South Rim for more than 40 years, has closed, according to multiple media reports, and the owners who are in the process of purchasing the land. Located at the intersection of Highway 64 and Highway 180, roughly 20-something miles south of Tusayan, it was hard to miss the larger-than-life Fred Flintstone statue and yellow sign with his iconic catch phrase: "Yabba-Dabba-Doo", or the brightly colored buildings that enticed people into the gift shop. The walk-through theme park featured many of the show's staple characters, such as Fred, Wilma, Barney, Betty, and Bamm-Bamm, and attractions, like a dinosaur-shaped slide. Admission was cheap by theme-park standards at $5 person person. There was even a coupon for a $1 discount online. 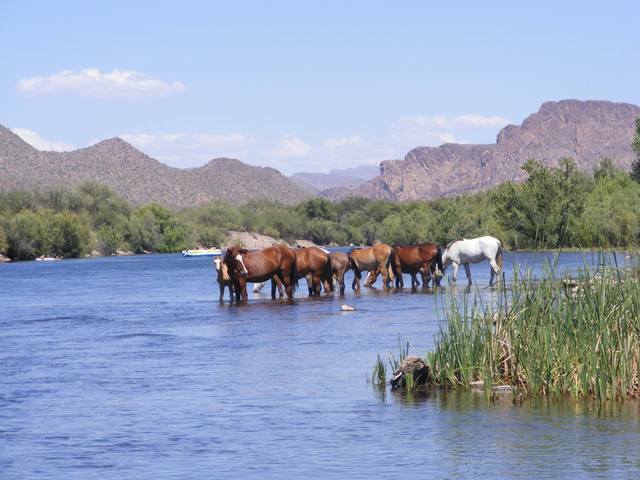 KJZZ was the first to report the park's closure. Troy Morris and his business partner, Ron Brown, are purchasing the land to open Raptor Ranch, an attraction where people will be able to see eagles, hawks and owls up close and watch flight demonstrations. 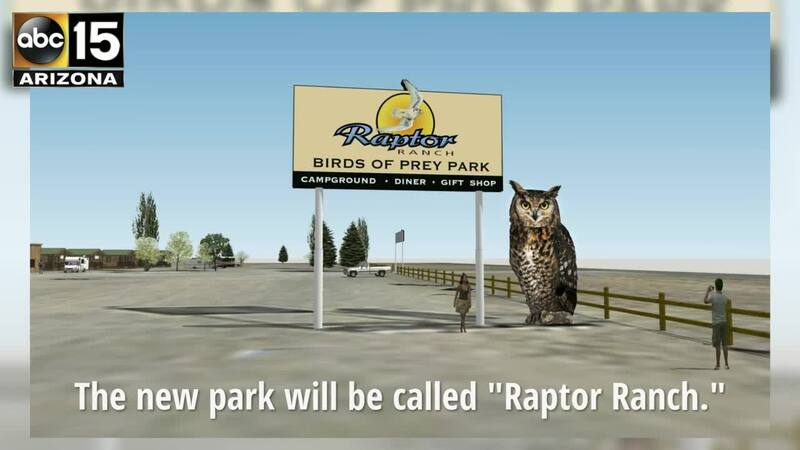 "Raptor Ranch is going to be a birds of prey venue based up on the fast-action, high-flying birds of prey of North America, and the world," Brown told ABC15 in a FaceTime interview on Wednesday morning. Brown said the two will close on the property on Thursday. It will be closed for the next 30-60 days, he said, to do some immediate renovations. They hope to reopen in the spring so people can get one last look at Bedrock City. 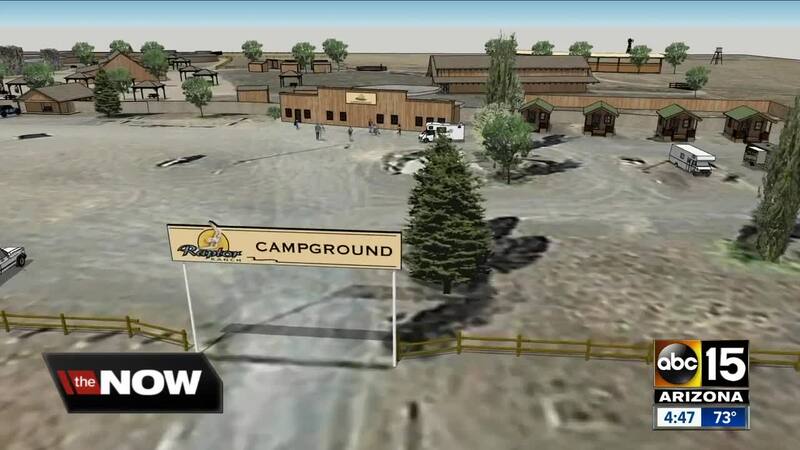 PHOTOS: What will "Raptor Ranch" look like? The closure is not unexpected, however, as the attraction had been on the market for several years. According to ABC News , the owners put it on the market in 2015 with a $2 million asking price. It was built in 1972. ABC15 attempted to reach the owner of the business on Tuesday, however, multiple emails and phone calls went unanswered. Editor's note: This article has been updated to reflect additional information on Raptor Ranch.